Energy Conservation Inc. (E.C.I.) is a Richmond, VA company created in 1990 by Gary Treaster with the mission to help consumers find "Building Science" solutions to problems such as high energy costs, moisture issues and poor indoor air quality. The "House As A System" approach to defining problems, and ultimately the proper solution, is based on implementing the education learned through training including being Virginia Power's 1st independent Energy Auditor, enhanced training resulting in a Masters of Building Science from Advanced Energy Corporation, advanced certifications as a Certified Indoor Environmental Consultant and a Certified Mold Remediation Supervisor through the Indoor Air Quality Association enables ECI to understand the systems approach to buildings and incorporate repair strategies that provide lasting results. Energy Conservation Inc. formed an alliance with Richmond Asthma & Allergy Specialists in 2005. Richmond Ashtma and Allergy Specialists refers patients that are experiencing problems. ECI goes into their homes to perform air testing and visual inspections inside of the house, crawl space, attic and HVAC system. The results of the air testing and visual inspections are shared with the client and doctor to see if anything in the home is creating a problem for the patient. If there is something that concerns the doctor then we can discuss with the homeowner what their options are and how we may assist them. If we are unable to help them with a particular issue we will refer them to someone that we feel comfortable with. Gary Treaster graduated Virginia Tech with a Bachelor of Science- Biology in 1978. Gary's first job was at Irvine & Associates, where he was responsible for commercial estimating and project management. Gary spent the next 10 years at VEPCO (Virginia Power). His first position was Customer Service Representative, where he helped lay out electrical designs for power lines and service connections. He proceeded to help develop and define the Energy Audit program for Virginia Power. He worked with the Energy Saver Home program, developing energy saving packages for new residential construction projects. 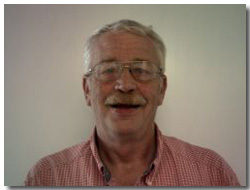 Gary also served as Coordinator in the Property Records Department. His final position with Virginia Power was Staff Administrator in Community and Governmental Affairs. This position allowed Gary to handle many public relations duties for the company. In 1990, Gary left Virginia Power to start Energy Conservation Inc. His initial focus was energy audits and home inspections. This dedication to reducing energy consumption, improving indoor air quality, and managing building moisture continues to be the focus of his company. Bill Greene graduated VMI with a Biology degree in 1972. At Producer's Co-Op, he got his first experience in water management and drainage as Garden Center Manager. At Davenport Insulation, Bill worked with Virginia Power and Energy Saver Homes using advanced house sealing to help bring energy efficiency to the Richmond new home market. Getting back to his roots, Bill served as Drainage Consultant at South Anna Lawn Care & Landscaping Company. He designed and installed yard/house drainage systems. In 1985, Bill began his first tour with Creative Conservation Company Inc. As Waterproofing Manager and Insulation Consultant, he was responsible for sales and service of basement waterproofing systems and sprayed insulation products for new home builders and homeowners. He left to form his own company, Greene's Waterproofing Company, where he sold basement waterproofing systems to builders and homeowners. Before returning to Creative Conservation in 1996, Bill spent 1 year consulting Richmond insulation icon G.T. Duke Co. on insulation and gutter installation. Back at Creative Conservation, Bill served as Major Account Manager. He was directly responsible for working with large homebuilders, meeting tight scheduling demands while developing energy saving package for their homes. Bill left to take the position of Operations Manager at Energy Conservation Inc. in 2002. 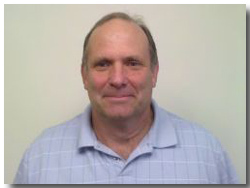 He is currently Operations Manager/Insulation and Moisture Control Specialist.